WeWriWa – check it out. There’s a great group of authors sharing their work. And Snippet Sunday on Facebook is awesome, too, stop on by. The conversation is a little less casual this week. There is some funky punctuation, to get the whole snippet in. Taryn and Skye knew each other when she was a child and he was a warrior in her clan, but than was quite a few years ago. Things have changed, and they’re both coming to terms with that. It’s not going to be easy, or simple for them, that’s not how my characters go. Skye feels guilt over events of the past. Taryn has other feelings, about current events. Yep, they have issues. Pretty soon, those are going to multiple, but that’s how a book goes. I’ve got a title, and a peek at the cover. I’m not 100% sure what next week will be, as Bloodlines is kicking and screaming to get a blog post. In the meantime, there are sales happening at Kobo, I’m just going to list them, it will be easier. So here they are. All other formats, including print, click here! Ok, now the cover peek and name!! Introducing The Myth of SolTerra, Book One of Tau Scorpii. I hope to have the web page updated this week. Check out WeWriWa and Snippet Sunday for authors sharing their works. There are some great books to be found! Okay. It’s apparently Saturday. My schedule got changed, I may appear confused for a couple weeks. Until they change the schedule again for our busy season. Joy. The good news is, this opens up my free time quite a bit, and I may actually get these two books out when I planned. How weird would that be? The constellation Scorpius. Al Niyat is the real Tau Scorpii. “I never thought I’d see that, Skye, infatuated,” Ianto admitted. “I don’t think that’s the word I’d use – I’d say, interested,” Garrett disagreed. “All the time, this is Skye, he’s always in our business,” Ianto laughed, seeing humor, and irony, in the question. Next week, what Skye and Taryn think about it. In the meantime, a promo for The Wildblood series, because book 3 is rolling out soon. You can check out other creative types, at the WeWriWa blog. I’ve found leads to great books there. Check it out! Also, Snippet Sunday has a great choice of sneak peeks. This week, I’ve got a bit of insight into the world where my characters live, and a peek at their history. Asher and Taryn are rehashing an old conversation, this time with spectators. Garrett, Ianto, and Skye, and they are listening carefully. Please remember, this is a first draft. Editing will happen! Maybe some actual PG-rated ‘R’ next week. Maybe. Or some Bloodlines. Both are going now, it’s Full Tilt Boogie in the word program. PS – this computer was new in November. I had to install my own word program. How rude is that?? Anyway. Nothing is on sale this week, but feel free to buy/review if you’re so inclined. Comments are always appreciated. 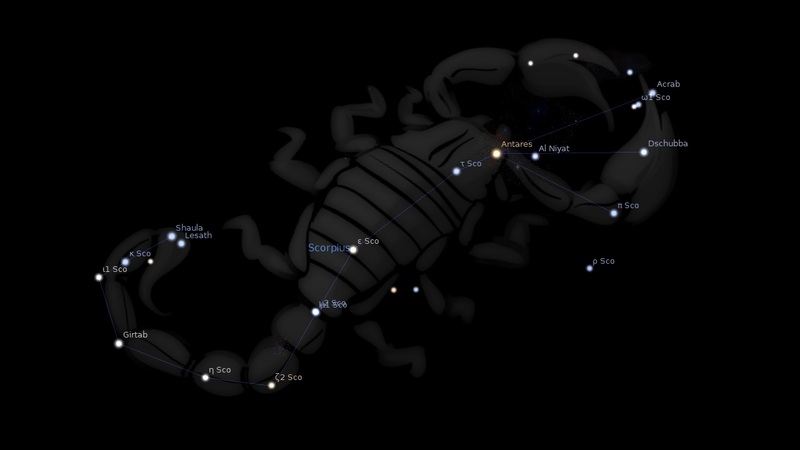 This is the constellation Scorpius, and the real Tau Scorpii, Al Niyat, just to the right of Antares. I can see it from my front door on clear nights. I am getting creative with the punctuation in this snippet. You’ve been warned! You can check out other creative types, at the WeWriWa blog. It’s a nice bunch of people with some amazing books. Also, Snippet Sunday has a great choice of sneak peeks. This is more of the conversation from last week. Sometimes, all you have to talk about is the weather. PS – that will change soon! I need to be thinking about a real title, too. This could be a series, time will tell. Short one this week, sorry. You know there’s a promo for The Wildblood series now. All three books are on sale for 99c each, until sometime next week when I change them.